So you splurged and bought a wool carpet. Good for you. Your investment in quality carpet will bring you years of satisfaction in both the look and feel of your home. However, stains in your wool carpet are inevitable. No matter how diligent you are, accidents happen and your wool carpet is going to get dirty sooner or later. The good news is that its not the end of the world. in most cases you can fix the problem yourself. Chem-Dry of Tampa FL recommends an easy cleaning kit stashed under the sink to remove stains from your wool carpet. With this tool kit you can tackle just about every spot or stain that gets into your wool carpet. Act quickly. Clean up as much of the spill as possible. Using a white towel gently dab the spot using different areas of the towel to remove as much as possible. Then pour baking soda on the spot (use a good amount) and allow it to dwell there for at least 30 minutes. Then vacuum the baking soda from the carpet. Mix the 1/4 cup of vinegar and 1/2 tsp of dish washing detergent with 2 cups of warm water. then apply the mixture to the spot with a towel or nylon brush. Just blot it onto the surface and let it sit for about 30 seconds.You can gently agitate the spot with the towel or nylon brush in small circles. Do not scrub the spot it could easily damage the carpet. Take a damp white towel and gently blot the spot to rinse away the vinegar and detergent mixture. Then lay a dry white towel on the spot and gently apply downward pressure to help remove as much moisture as possible. Bolt the spot several times with a new part of the towel to ensure your removing as much as possible. Try to get air movement across the carpet to dry it as quickly as possible. The faster it dries the better. 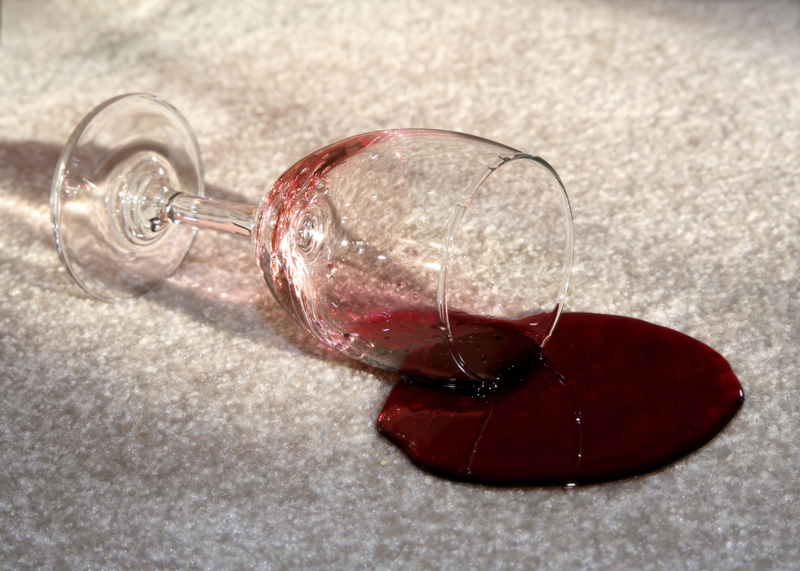 If in the end you still have a stain in your wool carpet call Chem-Dry of Tampa FL at (813) 402-8403 and let a professional carpet cleaning company handle the stain.